If there’s one festival I never want to miss, it’s SXSW in Austin, TX! 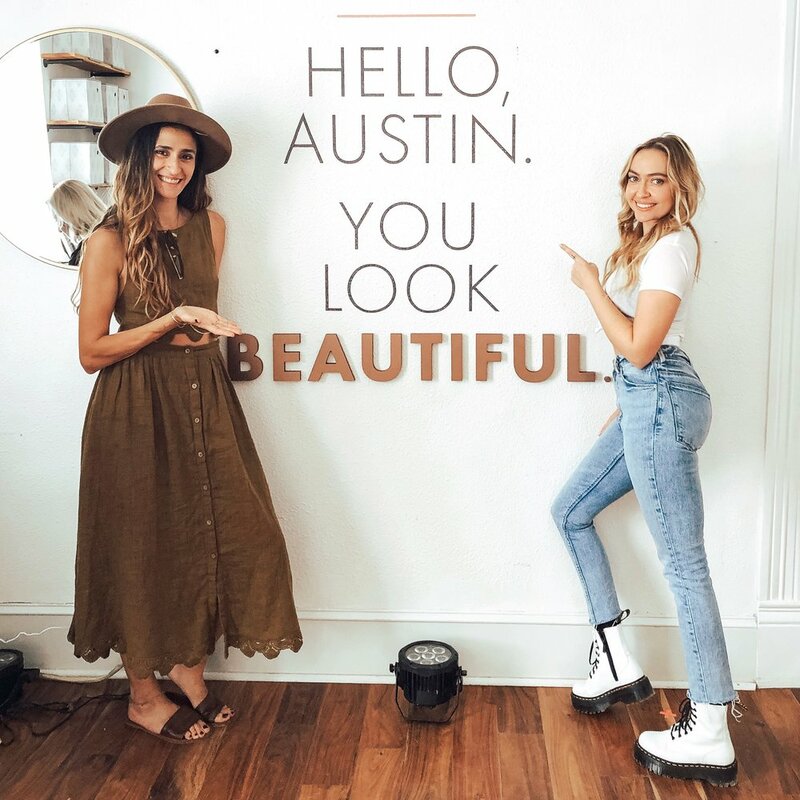 This year I had the opportunity to visit the RealSelf House of Modern Beauty pop up event for a Vivace treatment! I took my friend Naz along for the ride so we could give you all the deets of this fabulous experience. If you guys follow me on Instagram you know how much I LOVE my microneedling! It’s my favorite way to help combat aging and keep my skin looking it’s best! I was curious to try Vivace which is the newest technology of radio frequency microneedling. The best part is there is virtually NO down time! I couldn’t believe it beforehand, but i’m here to tell you it’s true! In just 24 hours you can resume normal skincare/makeup application and go about your day (whereas with traditional microneedling it’s more like 2-3 days before you can get back into the swing of things). If you’re wondering what the benefits of this treatment are, let me fill you in on the magic: it stimulates natural collagen production in your skin which results in contouring and tightening to alleviate fine lines and wrinkles, but I also ALWAYS notice a dramatic improvement in the radiance of my skin too. It truly does wonders if you get it done semi-regularly - which for me is every 2 to 3 months - and being a non-surgical treatment, it’s SO easy and virtually pain-free. You’re in and out in under an hour! The Vivace Experience treatment ends with a refreshing sheet mask to cool down and hydrate your skin - I even asked to take one home with me to follow up with on my own at home! I couldn’t have been happier with my experience and i’ll definitely be back for more. To learn more about Vivace, or find a provider in your area, visit VivaceExperience.com!